Did you know that there are some amazing summer conference venues both in London and across the UK? 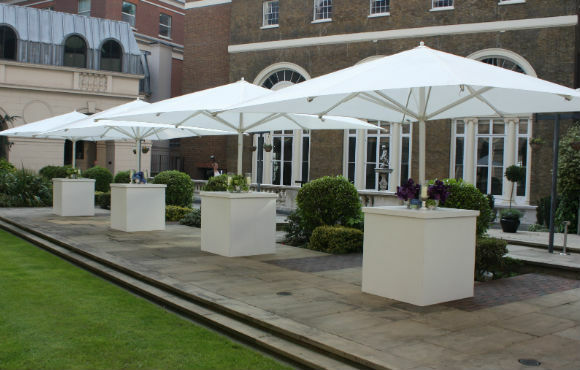 By summer conference venues, we mean venues that can not only offer superb conference facilities, but also have some amazing outside space for you to use for your breaks. Rather than being confined to a stuffy often dark’ish room for the whole day in the summer months, inspire your delegates with a venue that offers breathing space and a chance to get outside. Thorpe Park is very well known for it’s thrilling rides, but it may not be quite so well known for it’s unique and exciting event space. Book Thorpe Park as your summer conference venue and you will be amazed! With a capacity of 450 delegates, Lake View offers 940 sq m of event space. Added to which you can incorporate Thrill Days and teambuilding. It really is Business with a Thrill at Thorpe Park! 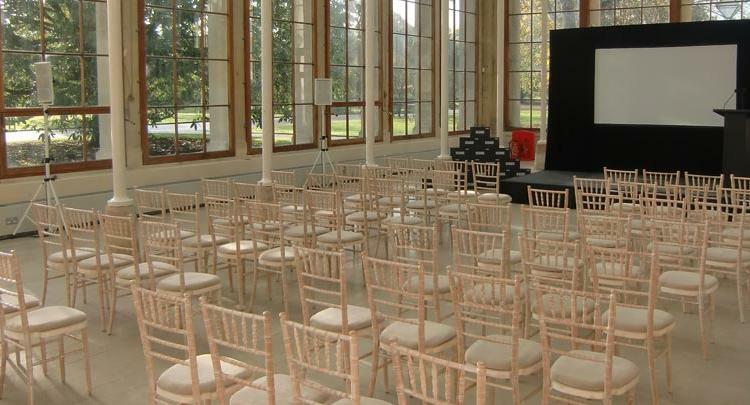 This is a stunning venue located in Hyde Park, hidden amongst a copse of trees; there are two bright rooms which can be made into one large room with a capacity of up to 100. The Lookout is surrounded by beautiful landscaped gardens which provide the perfect setting for coffee breaks. 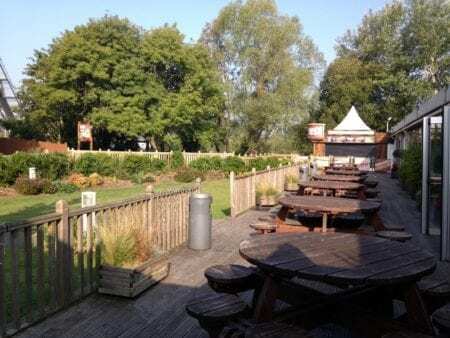 All proceeds from hiring this venue go towards the Royal Parks Foundation as well as subsidising the environmental programme which is run here. 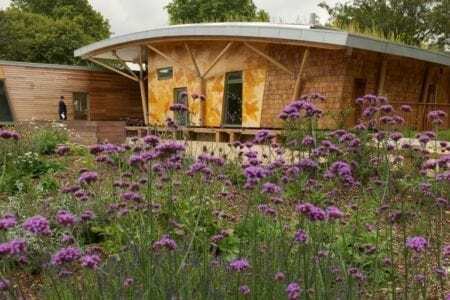 This creative venue in North Hampshire is a beautifully green oak contemporary barn – one of the most perfect summer conference venues, with a Mediterranean courtyard and gorgeous landscaped gardens. 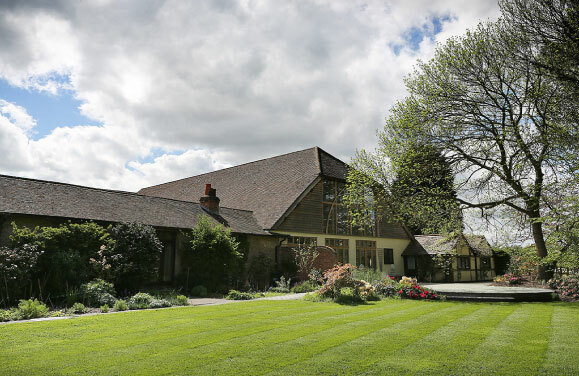 The 6000 sq ft barn offer 5 separate spaces with the main room having a capacity of 200 theatre style. Set in 24 acres, the opportunities are endless for team building activities ranging from clay pigeon shooting, falconry, sheep dog handling and archery. Nestled in SE1 just a stone’s throw from Shakespeare’s Globe, Blue Fin is a spectacular venue with excellent conference facilities and roof top gardens with views to die for! Sleek, contemporary spaces are combined effortlessly with large manicured terraces, offering delegates a chance to blow away the cobwebs before settling down to an afternoon of hard work. If you need to book a summer conference venue in London, you would be hard pushed to find one better than this. Right in the heart of the City of London, you will find Gibson Hall. With a capacity of up to 360 theatre style, this venue offers a brilliant solution to anyone looking for a convenient London conference venue with outside space for breaks. This secret courtyard garden is perfect for any summer event. You could even wind up your conference with a BBQ! This is a multi-award winning city centre events and conference venue in the heart of Birmingham, just a few minutes walk away from Birmingham New Street station. 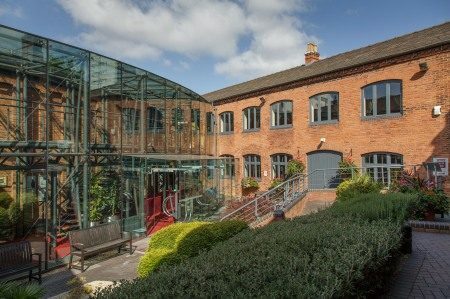 Once home to a metal and nail merchant, the building has been sympathetically restored and offers excellent conference facilities along with a canal-side location and some lovely outside space. 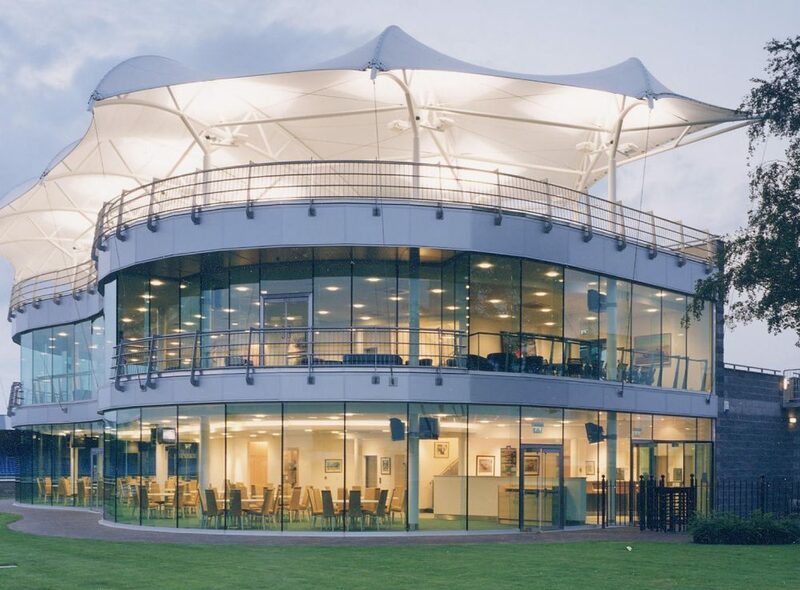 If you are planning a large scale conference and want somewhere a bit different with some outside space, then Silverstone is worth considering. With four distinct spaces available and delegate capacities ranging from 100 up to 1000, Silverstone offers a stunning design and unique and flexible events space, along with roof terraces and masses of outside space. No list of summer conference venues – would be complete without Kew Gardens. With a number of different venues within these beautiful and historic gardens, you are spoilt for choice! Choose from the Nash Conservatory, Sir Joseph Banks Building, Cambridge Cottage or for smaller meetings, The Orangery Conference Room. Kew offers seasonal packages which also include team building in the 330 acres of beautifully landscaped gardens. Even if you don’t opt for the team building, you must surely get a chance to have a little wander around these stunning gardens in your break….